Healthcare Simulation Champions once again we have scoured the internet to bring you the latest Medical Simulation news from around the world. Each week brings new success stories, research, products, partnerships and more — all of which helps us spread the word about clinical simulation and what it can do for the industry of healthcare. Do you have global news to share? Submit your latest medical simulation news through the submit article link above and we will consider it! CAE Healthcare Dominates the News: Canadian Government Funding, New Chief Learning Executive Dr. Patel, and TellYes China Event (HealthySim) – You know its been a big week for CAE Healthcare after Prime Minister of Canada Justin Trudeau helped announce a $1B investment which is “about creating high-skilled jobs in Canada today.” Match this with the recent announcement that the company has brought on one of the most influential Simulation Champions in the space, Dr. Amar Patel, as Chief Learning Officer and a recap of the first CAE Healthcare supported TellYes run APSSH meeting and you can see why they dominated the news last week! Patients opt for 3-D simulation for breast augmentation—but it doesn’t improve outcomes (MedicalXpress) – Three-dimensional image simulation is popular among women planning breast augmentation surgery. But while this evolving technology may enhance communication, it doesn’t improve patient satisfaction with the results of the procedure, reports a paper in the August issue of Plastic and Reconstructive Surgery official medical journal of the American Society of Plastic Surgeons (ASPS). An Interprofessional Education Simulation Workshop: Health Professions Learning Palliative Care Communication (New Research Shared By Healio) – Patients with life-limiting illnesses need health professionals who can communicate with each other, as well as with patients and family members. Nursing faculty teach these skills in a variety of formats and, increasingly, via simulation experiences. Postworkshop, students rated themselves as significantly more confident in interprofessional and palliative care communication (p ⩽ .001) than preworkshop, identified important areas of behavior change and professional identity, and provided faculty with ideas for future simulation workshops. 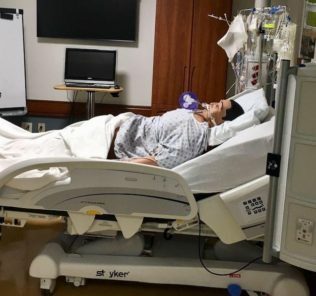 Lutheran General Opens New Simulation Center (Journal-Topics) – A new program, being introduced throughout the Advocate hospital system, aims to provide that practice with simulated situations and human-like figures. 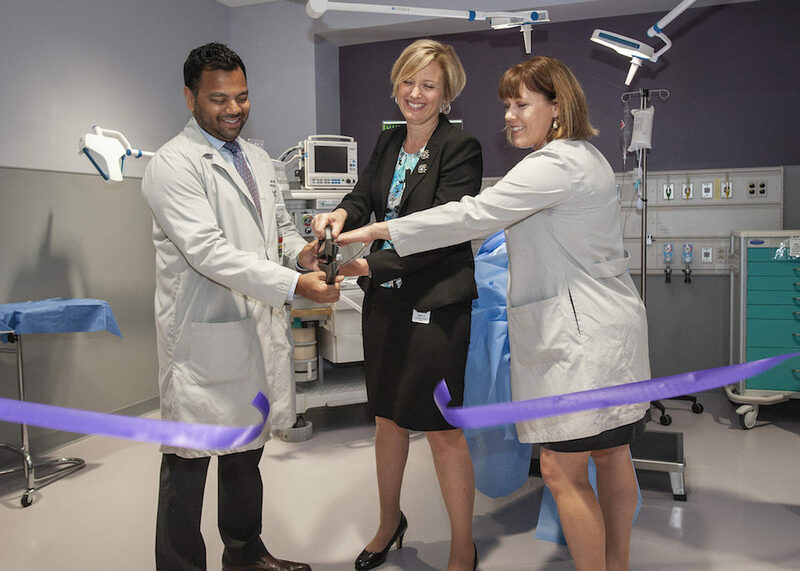 Advocate Lutheran General Hospital and Advocate Children’s Hospital in Park Ridge dedicated its new Simulation Center on Monday, July 30. It is the fifth such center in the Advocate system and the largest, with 8,000 sq. feet of space devotes to five simulation suites. Within the last five years, since starting its goal to “do no harm,” the Advocate system has seen a 60 percent reduction in such cases, said Domenica Tallarico, executive vice president for the system’s Central Chicagoland hospitals. Soldiers complete training at Fort McCoy’s Medical Simulation Training Center (Dvids Hub) – Students in the Army’s 68W career field completed training in a tactical evacuation class July 12, 2018, at the Medical Simulation Training Center at Fort McCoy, Wis. The class is part of the center’s 68W sustainment course called TC 8-800, which is a 48-hour Army medic refresher course. The Medical Simulation Training Center is managed by Fort McCoy’s Directorate of Plans, Training, Mobilization and Security. Fort McCoy has supported America’s armed forces since 1909. The installation’s motto is to be the “Total Force Training Center.” The post’s varied terrain, state-of-the-art ranges, new as well as renovated facilities, and extensive support infrastructure combine to provide military personnel with an environment in which to develop and sustain the skills necessary for mission success. Midland University Opens NEW Simulation Lab! (Midland University) – Midland University proudly announced the new opening of a one million dollar simulation lab that brings an aspect of its medical education to life through real-world, simulated learning within state-of-the-art patient rooms to expand hands-on clinical experiences. 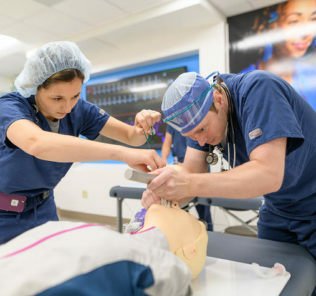 The high-tech skills lab was constructed inside of Fremont Health Center and designed for hundreds of students and health care providers to practice medical procedures in a safe, collaborative environment with the use of five hi-fidelity Gaumard Manikins. 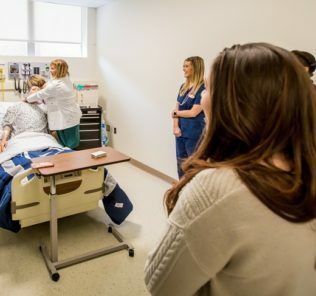 Satisfactory Completion of End-of-Course Outcomes Using Simulation (New Research Shared by Helio) – Simulation is replacing clinical hours in prelicensure nursing programs, and students must be evaluated to ensure that the end-of-course outcomes are met. The purpose of this study was to identify what an average score (or cutoff score) for high-fidelity simulation is for successful and satisfactory completion of end-of-course outcomes in a medical–surgical nursing course using the Lasater Clinical Judgment Rubric. A cutoff score of 28 was identified indicating satisfactory and successful completion of end-of-course outcomes in a medical–surgical nursing course. Do you have Healthcare Simulation News to Share with Our Global Audience? Share Today!